Alchemical Hypnosis taught me to plant seeds in my inner being that continue to produce abundant fruit. In my month-long group training we students all learned to make contact with spirit guides. 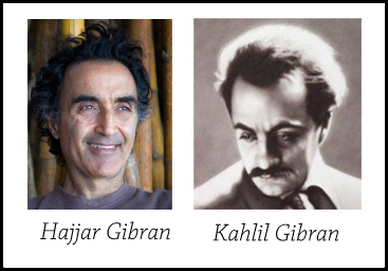 Since my great uncle Kahlil Gibran's writing were a source of enchantment to me, it seemed only natural when he appeared in an inner garden as my spirit guide.Since that day many years ago, Kahlil's guidance continues to invite me into a world beyond my dreams. So bewildered by this source of inspiration, I traveled across the globe to a small village high in the mountains of Lebanon, where I hoped to unravel the mystery of Kahlil's presence speaking with such passion through me. As if suspended between worlds, the ancient monastery where Kahlil's body rest is perched on the ledge of a dark abysmal canyon below with towering snow capped peaks reaching high into the sky above. While I sat in silence at Kahlil's tomb, a strange familiarity crept in and I was overcome with feelings of homecoming. I couldn't name it or remember precisely when I'd been there before, but my soul knew this monastery and my bones could feel that I belonged. Here I was - a perfect stranger in a strange and distant land - home again. Closing my eyes, I sank into the inner realm. Using the Alchemical tools I'd learned years ago I was able to recall past life experiences in this foreign land. However I wasn't prepared for what unfolded over the next three days as I was instinctually led through the village to find inexplicable evidence that verified my memories of having lived there as young Kahlil. Later, intent on writing an account of my bewildering experiences, my hand was guided by an unseen presence. I witnessed the words emerge effortlessly from my deepest feelings, but in a dialect not my own. I sat spellbound as my pen glided with the ease of an angel's grace. In euphoria the subtle epiphanies of my heart were inscribed onto page after page telling a poetic parable of spiritual awakening from the enlightened heart of the Prophet.When the writing was complete, I was resting in my hammock on the remote beach where I was living in southern Thailand. A stranger approached me and said simply, "I hear you've written a book". He turned out to be Greg Dinkin, a literary agent from NY. In October this year, Simon and Schuster is publishing The Return of the Prophet. Already 11 foreign publishers are translating it in preparation for publication around the world. Note: Since writing his testimonial, Hajjar's book has been published and is available at all major booksellers. A woman loved her husband of five years very deeply, but couldn’t stand his personality. Divorce seemed the logical solution, since he was absolutely unwilling to change. But she simply couldn’t imagine leaving him. In a Past Life Regression session, she returned to the old southern US. There, as a young and beautiful southern belle, she fell in love with a handsome young slave. In the heat of their forbidden love she promised to love him forever. 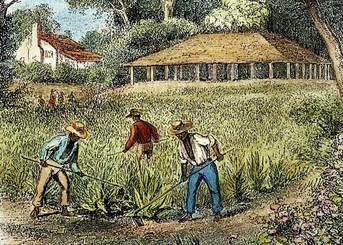 They shared a dream of someday marrying and escaping together from her plantation life. Reality soon closed in however. She became pregnant, and when a beautiful dark skinned baby emerged, her father soon guessed the culprit. My client wept as she told me that her beloved was chased down and killed with torches, hounds, and shotguns. She spent the rest of her life pining away for lost love. That evening after the session she went home to her husband. But she couldn’t finish telling him her story. He kept interrupting her, in tears himself, as he remembered his own details of the tragedy. When she told of his being killed, he laughed. “I escaped!” he announced gleefully. “They lied to you! Years later I returned for you, but you had married someone else.” Tearfully she replied, “Yes, but I never loved anyone but you!” Only then could the two of them understand a peculiar ritual they had engaged in during their otherwise typical California wedding. He had insisted that they both step over a broom together “the way slaves got married in the old south.” (Both of these people were white, and had never been to the south or studied the south…in this life.) Once these two had cried through their pain, sharing a passionate and joyous reunion, they realized the craziness of their adolescent dreams. Then they could release each other freely of the marriage which had proven so dysfunctional in 21st Century California.